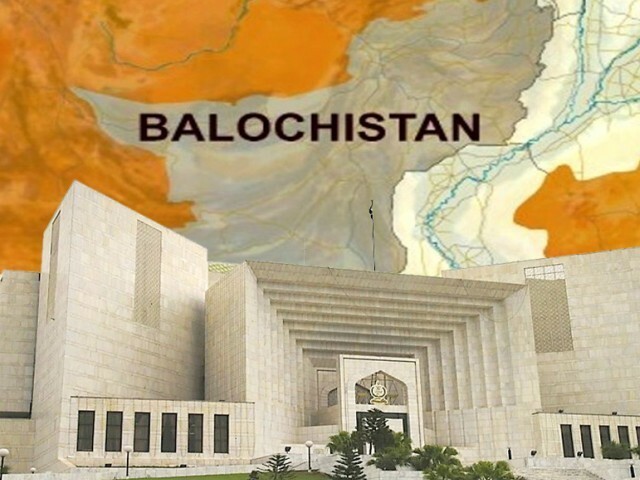 Balochistan should be a no-go area for the apex court…. Balochistan is on fire; so much so that dubbing it Pakistan’s war zone would not be an exaggeration. There are so many hostile forces up in arms against the state of Pakistan. These forces include India’s RAW, American CIA, British MI6 and the separatists encouraged, financed and armed by these anti-Pakistan intelligence agencies. According to credible reports, intelligence agencies of UAE and Afghanistan are also actively involved in the province to destabilize Pakistan. The tactics employed by these enemies of Pakistan are no different than those employed during East Pakistan insurgency of 1971. The major sinister objective all these powers is to discredit Pakistan’s security apparatus and defeat it on a moral ground. Like in East Pakistan, insurgents in Balochistan have unleashed atrocities on hapless Balochs and other inhabitants of the province. They operate wearing uniform of the Frontier Corpse, a paramilitary force working under the Ministry of Interior. The issue of missing persons has been created through voluntary or enforced disappearance of people who are actually kidnapped by those in FC uniform. This issue has been blown out of proportion by national and international media; and the apex court, always vulnerable to taking cognizance of populist cause, is being lured into taking action against FC and the security establishment. The major objective remains the same; defeating the security establishment on moral grounds, thus paralyzing it into inaction on what is being done in Balochistan. Look at the demands of the separatists; army should leave Balochistan and there should be no cantonment in the province so that enemy can conveniently take over this province which is rich in minerals and poor in education and other facilities making it the most attractive place for the enemies to recruit insurgents. Share of taxes collected from the rest of the countries worth hundreds of billions allocated for the province is appropriated by the sardars who are running the province. This is Pakistan’s most volatile war zone and the enemies have the audacity to exploit Pakistan’s activist judicial system to their advantage. The court is well-meaning and would settle for nothing short of rule of law but under the media pressure has focused its attention on the armed forces. Once the media and the apex court have been won over by anti-state elements, rest of their job is just piece of cake. The media or a section of it may be on the payroll of anti-Pakistan elements but the court should be kept out of the mess. It should be made to understand that Pakistan is at war with its enemies in this part of the country and the court’s diatribe through conducting itself as a War Crimes Tribunal should help no one but the enemies. Balochistan should be declared a war-torn area infested with enemy agents and should, therefore, be a no-go zone for the apex court as far as the matters of national security are concerned. What we witness in Balochistan today is covert operations under media support which have emerged as one of most powerful tool to psychologically defeat a community and force it to follow desired line of order. According to Veterans Today, the hostile media controlled by the global and regional powers focus on molding ideas, building perceptions, and convincing under educated people of poor third world countries. Pakistan in general, the province of Balochistan in particular presently faces this hostile media onslaught on lines of Kurd Model. The main theme projected says that security apparatus is the main coercive tool being used against the natives to deprive them of their livelihood. The Human Rights Watch gives verdict by saying “indisputable” evidence points to the hand of the FC, the ISI and its sister agency, Military Intelligence are behind the killings and kidnapping. However they fail to convince the general public on issues like the killings of thousands of people by unidentified armed men targeting “settlers” and government officials and killing Punjabi speaking individuals. The responsibility of all such incidents though has been publicly accepted by insurgent groups like BLA or BRA. The covert hands support insurgency in Balochistan, through safe havens provided to the militants in different countries to destabilize Pakistan. It is not a secret now that of Government of Balochistan in exile (GOB Exile) established by militants in April 2005 has it’s headquarter in Jerusalem as is evident from the website anyone can go and have a look. Very interestingly Balochistan Legal fund (BLF) has address originating from Washington DC. The ban on jihadi organizations and their assets freezing is common international phenomena but such support originating from Washington? America is not the only interested player in Balochistan. The activities of Mir Suleiman, Khan of Kalat operating from U.K, holding anti-Pakistan rallies and maligning Pakistan for forcible annexation of Balochistan has its own dimensions. Presence and involvement of Indian Consulates in Afghanistan bordering Balochistan along illegal arms supply route, arrest of Gazin Marri in Dubai in March 2006 for channeling funds to BLA from Dubai, providing comfortable lodging to Bugti scion first in Afghanistan and then Geneva and arrest and release of Harbayar Marri in UK and facilities of Indian visa to insurgents leaves many unanswered question. It’s not the Pakistan Security Agencies or the Military that’s attacking Balochistan but a clear hand of CIA-RAW in clandestine operations is visible even to a blind eye. The apex court and its well-meaning CJ may be well advised to carry out a comprehensive assessment of the situation and listen to the other side of the story in the chamber, like the issue of Swiss letter was handled by the court behind the closed doors. If it sounds beyond them given the circumstances, they should step aside and let those institutions handle it whose job under the constitution is to fight the enemies. The honorable justices of the court may also be advised not to conduct the court like a War Crimes Tribunal. Pingback: Supreme Court or a War Crimes Tribunal?